Isaac and Dolllie were enumerted in the 1900 Dresden, Washington Co., NY, federal census. He was a farmer age 37, she was 22. They had been married 1 year and had had no children. Isaac was enumerated in the 1910 Dresden, Washington Co., NY, federal census. He was a farmer age 47. Dollie was int in the household. A hired man and his family were in the household as was a widowed aunt Olive(?) Gillett. Ernest and Lucy were enumerated in the 1910 Whitehall, Washington Co., NY, federal census, ED 122. He was 27, she was 26, they had been married 4 years. The only child in the household was Katherine, age 3. Ernest and Lucy were enumerated in the 1920 Whitehall, Washington Co., NY, federal census, ED 237, page 5B. He was a farmer, age 37; she was 36. Children in the household were Katherine 12, Lillian 7, Lawrence 5, and Verna M. 2. Ernest and Lucy were enumerated in the 1930 Whitehall, Washington Co., NY, federal census, ED 47. He was a farmer age 49, she had only aged 4 years since the last census and was listed as 40. Children in the household were Lawrence 15, Verna M. 12, Tressa J. 8, Raymond C. 6, and Olive S. 3. [S182] Social Security Death Index (on-line), Ancestry.com, SSDI, Ancestry.com, SSAN 079-03-9676. [S390] Bill Stephens, "Holcombe, Alice," e-mail to James H. Holcombe, 6 May 2002. Cora (?) was born in July 1872. She married Walter F. Moore, son of Nathan Thomas Moore and Sarah Louisa Manker. Lucinda (?) was born circa 1804 at Canada. She married Linus Holcombe, son of NY Holcombe. B. F. and Margarett were enumerated in the 1860 White Hall, Washington Co., NY, federal census, page 54. He was 28; she was 21, born in Ireland. Cora was 11 months. Benjamin and Margarett were enumerated in the 1880 Whitehall, Washington Co., NY, federal census, ED 157, page 48. He was a railroad conductor, age 48, she was 43. Children in the household were Maud 15, and Hattie 4. Benjamin's mother, Celestia age 60 was also in the household. [S807] Find A Grave, online http://www.findagrave.com, memorial # 60739318. [S807] Find A Grave, online http://www.findagrave.com, memorial # 60739411. [S807] Find A Grave, online http://www.findagrave.com, memorial # 60739315. Cora Holcombe was born circa August 1859 at NY.1 She was the daughter of Benjamin F. Holcombe and Margarett Hoey. H. A. and Celeste were enumerated in the 1850 Whitehall, Washington Co., NY, federal census. He was a clerk, age 42, she was 38. Children in the household were B. F. (male) age 18, Mariah M. 15, Coloutte 5. Also in the household was Rachel Benjamin age 70. Celestina and Colouette were enumerated in the 1860 Whitehall, Washington Co., NY, federal census, page 119. She was 49, Colouette was 15. R. Benjamin, age 80, was listed as the head of the household. [S182] Social Security Death Index (on-line), Ancestry.com, SSDI, Ancestry.com, SSAN 045-30-1854. Sanford and Grace wre enumerated in the 1910 Whitehall, Washington Co., NY, federal census. He was 21, she was 17; they had been married 6 months. Sanford and Grace were enumerated in the 1920 Wells Twp. Rutland Co., VT, federal census, ED 137. He was a farmer, age 31, she was 27. Children in the household were Leona 9, Richard 7, Esther 5, and Beatrice, 7 months. Sanford and Grace were enumerated in the 1930 Wells, Rutland Co.,VT. He was a quarry engineer, age 41, she was 37. Children in the household were Leona G. 19, Richard S. 17, Esther S. 15, Beatrice O. 10, Charles C. 7, Ronald C. 4, and Dorothy L. whose age was illegible, but less than a year. [S182] Social Security Death Index (on-line), Ancestry.com, SSDI, Ancestry.com, SSAN 009-26-5618. Henry and Pansey were enumerated in the 1920 Granville, Washington Co., NY, federal census, ED 210. He ran a general store, age 31, she was 28. The only child in the household was Margaret, age illegible. Bernard and Ethel were enumerated in the 1920 Granville, Washington Co., NY, federal census. He was a farmer age 26, she was 27. Children in the household were David B. 7, Roy 3, and Benjamin 1. Bernard and Ethel were enumerated in the 1930 Granville, Washington Co., NY, federal census. He was a dairy farmer, age 37, she was 38. Children in the household were David 17, Leroy 15, Edward 12, Nellie 9, and Lena 7. Charles Alvah Heath was born on 8 May 1864 at Stewartstown, Coos Co., NH. He married Ann Flagg Converse, daughter of Rev. William Amherst Coult Converse and Mary T. Tibbetts, on 27 June 1886 at Stewartstown, Coos Co., NH. Charles Alvah Heath died on 5 November 1950 at Schenectady, Schenectady Co., NY, at age 86. James Lloyd Holcombe was also known as James Lewis Holcombe.2 He was born in 1871 at NY.1 He was the son of Linus Holcombe and Sarah J. Sweet.1 James Lloyd Holcombe died before 1930. It is apparently James who was enumerated in the 1900 Whitehall, Washington Co., NY, federal census, ED 144, page 7B. He was boarding with the Washburn family, next door to his parents. He was a day laborer at a quarry, age 29, single. James and Minnie were enumerated in the 1910 Whitehall, Washington Co., NY, federal census, ED 122. He was a farmer, age 38; her age was illegible. Children in the household were James Jr. 7, and Leslie 3. James and Minnie were enumerated in the 1920 Whitehall, Washington Co., NY, federal census. Children in the household were J. Lloyd 16, son Leslie R. 14, and Doris 6. Widow Minnie was enumerated in the 1930 Whitehall, Washington Co., NY, federal census, ED 47. She was 42. Children in the household were J. Lloyd 26, Leslie R. 24, Doris J. 16, and Milton W. 4. [S182] Social Security Death Index (on-line), Ancestry.com, SSDI, Ancestry.com, SS5 079-03-9246. Ida was enumerated in the 1920 Hartford, Washington Co., NY, federal census. She was 42 and a housekeeper in the household of Charles B. Warren. Son Sumner J. age 4, was also enumerated. Ida and Sumner were again enumerated in the household of Charles Warren in the 1930 Hartford, Washington Co., NY, federal census. She was 52, he was 14. Daniel and Hattie were enumerated in the 1920 Whitehall, Washington Co., NY, federal census in the household of Frank Haskell. Daniel was a quarryman in a slate quary, age 50, she was 40. Children in the household were Harry 24, and Alice 17. Walter and Sarah were enumerated in the 1910 Whitehall, Washington Co., NY, federal census. He was a laborer in a slate quary, age 27; she was also 27. Children in the household were Kenneth, a illegible son and an illegible daughter. William and Lucy were enumerated in the 1910 Granville, Washington Co., NY, federal census. He was 24, she was 22. The only child in the household was Elwyn A. 11 months. Lucy's parents, Herbert and Ellen Hazelton were also in the household. William and Lucy L. were enumerated in the 1920 Whitehall, Washington Co., NY, federal census, ED 237. He was a dairy farmer, age 35, she was 33. Children in the household were son Elwyn 10, daughter Myeto(?) 7, William L. 4, and daughter Frances 1. William and Lucy "Halcomb" were enumerated in the 1930 Granville, Washington Co., NY, federal census. He was a dairy farmer, age 45, she was 43. Children in the household were Elwyn 21, Myrtle 17, William 14, Frances 11, Robert 10, George 8, Mable 6, and Walter 4. The 1900 Whitehall census lists Linus' birth date as Jul 1889, the information from Lawrence William Holcombe lists it as May 1889. Linus was enumerated in the 1920 Whitehall, Washington Co., NY, federal census, ED 237. He was a dairy farmer age 30. The family structure is unclear; it appears that brother James is either in the same household or in the adjacent household, with his family. Linus was enumerated in the 1930 Whitehall, Washington Co., NY, federal census, ED 47. He was a manager in a slate quary. Brother George was also in the household. William and Lovanchia were enumerated in the dwelling of Champlain in the 1880 Dresden, Washington Co., NY, federal census. He was 25, she was 18. Vivien was 2. William and Lovanchia were enumerated in the 1900 Dresden, Washington Co., NY, federal census. He was a farmer age 44, she was 38. Children in the household were Rollin W. 14, Herma B. 11, Edith 7, and Doris 4. William and Lovanchia were enumerated in the 1910 Dresden, Washington Co., NY, federal census. He was 55, she was 48. Children in the household were Doris 14, and Bessie 7. Lovanchia was enumerated in the 1930 Whitehall, Washington Co., NY, federal census. She was in the household of son-in-law Harry H. Rogers. Erastus Giddings was born in 1800 at Hartland, Hartford Co., CT. 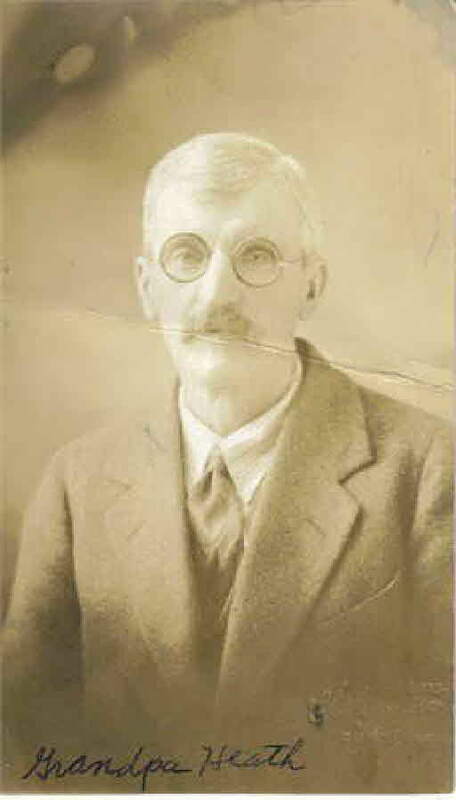 He was the son of Thomas Giddings and Apphia Hayes. Erastus Giddings died in October 1838 at Columbus, Muscogee Co., GA. The sad news of the death of Mrs. Jennie Holcomb of Candor reached this place Saturday. She died very suddenly of a heart attack in Binghamton [Broome Co., NY]. Mrs. Holcomb was a former resident of this place and had many friends here. Her funeral was held Monday at the M.E. Church and burial in New Ohio Cemetery [Colesville, Broome Co., NY] by the side of her husband Richard Holcomb. [S807] Find A Grave, online http://www.findagrave.com, Find A Grave, database and images (https://www.findagrave.com : accessed 12 November 2018), memorial page for Jane R. Salisbury Holcomb (Sep 1875–31 May 1940), Find A Grave Memorial no. 76104158, citing New Ohio Cemetery, Belden, Broome County, New York, USA ; Maintained by Colesville Neighbor (contributor 47601677) . Lemuel Skinner was born on 13 June 1781 at NC. He was the son of John Skinner and Mary Creecy. [S807] Find A Grave, online http://www.findagrave.com, Find A Grave, database and images (https://www.findagrave.com : accessed 12 November 2018), memorial page for Alice S Holcomb (1841–1896), Find A Grave Memorial no. 97532359, citing Sylvan Lawn Cemetery, Greene, Chenango County, New York, USA ; Maintained by Nate (contributor 47751239) . Thomas Harvey Skinner was born in 1788. He was the son of John Skinner and Sarah Harvey. Thomas Harvey Skinner died in 1792.